SINGAPORE – Twenty-five companies on Jurong Island have pledged to work together to prioritise safety and health in their workplaces. Through the Jurong Island Vision Zero Cluster, these companies will share best practices and innovations with one another. About 100 companies operate on the island. Minister of State for Manpower Zaqy Mohamad said at the launch of the cluster on Friday (Nov 23) that workplace safety and health (WSH) standards on Jurong Island must be kept as high as possible as the process operations there involve hazardous materials such as crude oil, flammable petroleum products, and corrosive chemicals. “Any lapses in safety procedures may result in loss of lives and injuries. There will certainly be business losses as well,” he said. For example, two years ago, an oil tank fire broke out on the island and took about five hours to be put out, and though no one was hurt, precious time and resources would have been lost, he told about 100 company executives and staff at Jurong Town Hall. The new cluster is an initiative by the Jurong Island Vision Zero Working Group, which was formed in February this year. Vision Zero is a nationwide movement launched in 2015 to promote the mindset that all injuries and ill-health at work are preventable. Engineer Lucas Ng, who chairs the working group, said companies in the cluster pledge to adopt five WSH measures. – going beyond basic compliance with regulations, for instance, to implement a holistic management system. Mr Ng said the working group plans to organise events like forums and dialogue sessions with management and workers starting early next year, after first getting more companies to join the cluster. 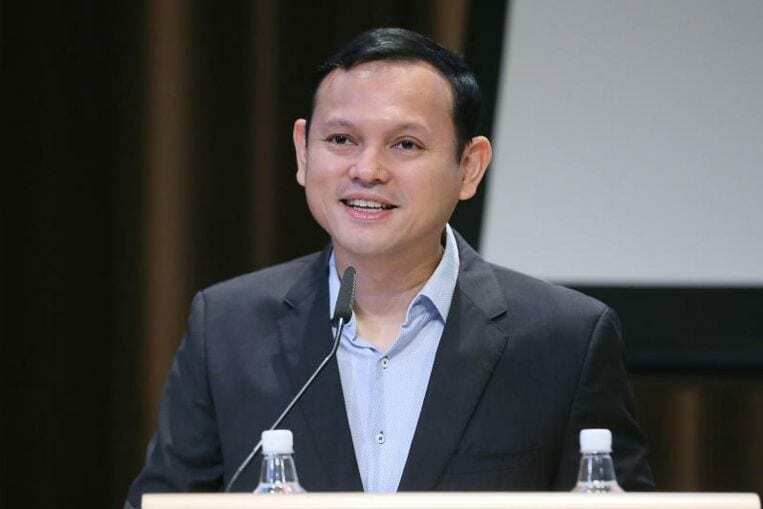 “We hope that when all companies on Jurong Island share the same mindset and core WSH values, Jurong Island can be a safer and healthier workplace, not just for full-time employees, but also employees of the process and chemical management industry,” he said. Mr Zaqy said the commitment by the companies’ senior management to prioritise safety and health will help influence contractors and vendors as well. “In the long term, good WSH management and performance is a competitive advantage and useful branding for companies and industries operating in Singapore…and Jurong Island in particular,” he said in a speech. He said he hopes other industries will be inspired to form their own versions of Vision Zero clusters. One of the companies in the new Jurong Island cluster is oil refinery Singapore Refining Company. Health, safety, environment and quality manager Adrian Ang shared some of the company’s WSH strategies, such as moving from a “blame and punish” approach to a “learn and improve” approach three years ago. For example, when a crane driver twisted his ankle while climbing down, the old method of investigating would have concluded that the driver was not aware of the steel plate in the way and made the mistake of landing awkwardly. But by treating it as a learning experience instead, the team decided that workers need to use a safer method to climb ladders with three points of contact rather than two. “In the old way, the crane driver may not have shared this,” said Mr Ang.